This is the second video in a three part series about my Spring 2009 course. This video features students discussing their final projects in Second Life where they had to partner with a third-party client in Second Life and create a project to help them meet their organizational goals. Two groups choose to host events as fundraisers, Under the Sea and Horns for 100K while a third group worked with a role playing group to get a better understanding of what community can mean in a virtual world. I hope you enjoy this video and as always, i welcome feedback! 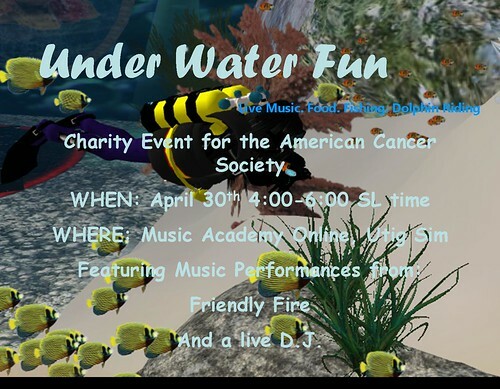 The second group from my Spring 2009 course will be having their final project event on Thursday April 30 from 4 – 6 SLT at the Utwig Sim. They have been working with the great folks at the Music Academy Online who agreed to let them use their island for the event. During the event they will submerge the entire sim by raising the water level to 100M (normally 20M) and have diving and other water activities. The event will feature the live band Friendly Fire and D.J. Autumn Beaver and is a fundraiser for the American Cancer Society Relay for Life. 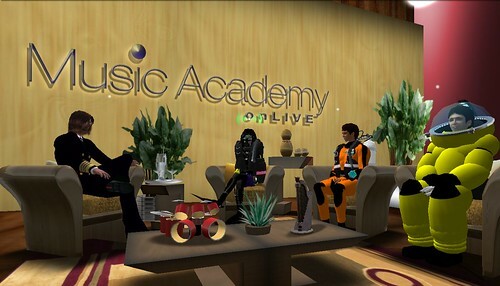 As part of their marketing campaign the students made an appearance on the SLCN show Music Academy Onlive. The students did a great job discussing their project and talking about the experience of being learners in Second Life. A video of the show is available at SLCN.tv. My students appear after the first guest, about 8 minutes into the program. They are easy to spot since they are wearing their diving gear. Benton, the host and founder of the Music Academy Online, also interviewed me for a short segment. It follows the segment of my students. UPDATE: My students that held the Longhorns for 100,000K fundraiser surpassed their project goal. They raised over $111,000L during their event and donated close to $450 USD to their selected non-profits. Way to go Team!! Problem: Physical, social and political disasters are often so geographically and culturally remote that people who might help fail to appreciate the nature and extent of the situation. 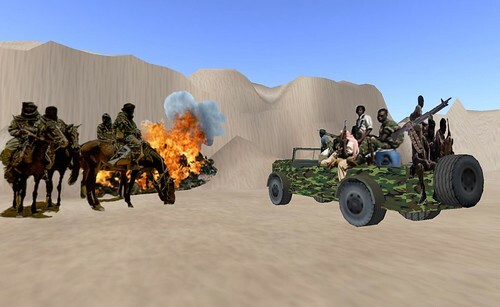 Solution: One UT team proposal would use the CASE grant to build an online, multi-player, virtual-world game to simulate life in Darfur, wherein survival is the object and famine, displacement and armed conflict are the opponents. Game players will realize how much is taken for granted in peace and prosperity and how important even small contributions can be in a disaster. Another project provides a virtual “ride” that helps participants understand the work of the nonprofit website Nothing But Nets. rural Texas, but the cost of covering long distances reduces the effectiveness of the organization. Solution: One UT team proposal would use the CASE grant to build an online, virtual world extension of the agency’s operations that would make it virtually costless to operate remotely. But rather than trying to envision every conceivable combination of circumstances and program a software solution that covers all of them, the UT student solution engages the nonprofit staff as avatars, thereby incorporating all their experience and troubleshooting skills. 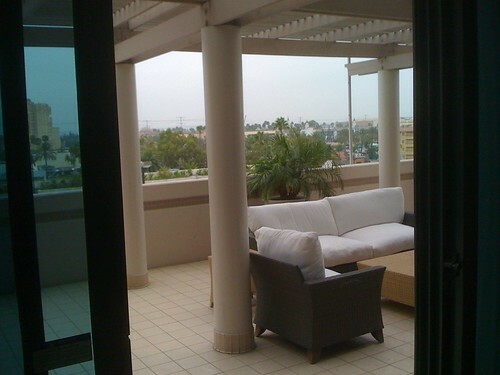 Further, client avatars can characterize their needs far more accurately and far faster than a “checklist” of options. The combination eliminates travel and remote operation cost without eliminating the skilled human intervention of the non-profit’s staff. Problem: Austin (TX) SafePlace is the nation’s largest shelter for victims of domestic violence. Training new associates at SafePlace is “baptism by fire” because the problems trainees face are “live” and often overwhelming. 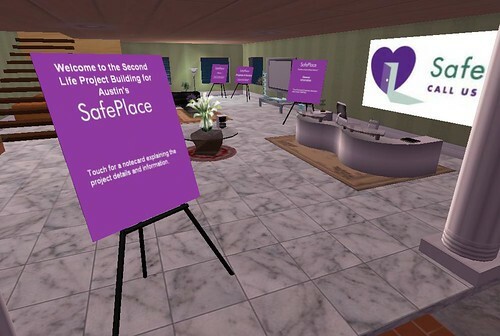 Solution: One UT team proposal would use the CASE grant to build an online, virtual world simulation of SafePlace where the avatars of trainees can learn to diagnose and deal with problems from hypothetical cases, safely apart from the actual operation of the shelter. The result is safe training for SafePlace. Plus, the students plan to hold a fund-raising “gala” online where participants from around the world can use “Linden dollars” to purchase necessities for shelter clients, then UT students will convert the “Linden dollars” to actual cash and purchase the items. 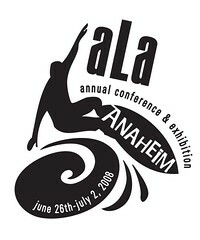 After a late night participating in the ITEA conference in Second Life I have finally arrived in Anaheim for the American Library Association Annual Conference. This is the largest conference these eyes have ever seen. I’m not sure how many people will be attending but the Convention Center and surrounding Hotels (plural) are all being used for various sessions and meetings. The conference starts on saturday but many people are already here and there must have 15 attendees on my flight from Austin heading to the conference. The ALA 2008 wiki is nice way to get a glimpse of the size of this conference. Tomorrow from 1:30 – 3:30 I will be hosting the 5th Annual Forum on Education. The forum will focus on Service Learning and will feature a celebration of our ALA Editions book The Service Connection: Library and Information Science Education and Service to Communities. A few authors (including me) will present a synopsis of their chapters as we present our ideas and examples of service learning. My chapter is called “Real World Learning in Virtual Spaces: Service Learning 3.0”. After the book chapters we will hold a researchpalooza where 12 Master’s students will tell us about their service learning projects in 90 seconds or less… Once they have all shared their projects we will break into a traditional poster session followed by facilitated small group discussions. I posted the abstracts of each project on the ALA wiki if you want to browse through them. 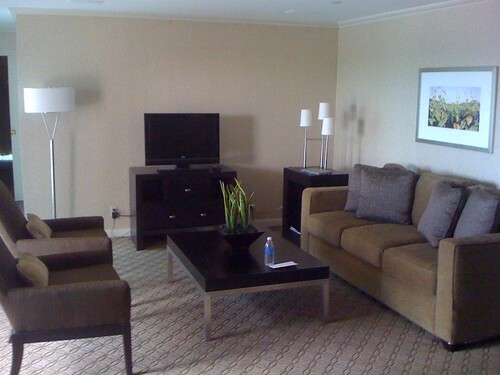 The forum will be in the Hilton hotel, California Pavilion B. 1. What is your biggest “take away” form this Forum? In other words, what information will you take home and share with your colleagues? 2. In what ways can you integrate Service Learning projects into your library, classroom, or curriculum? 3. What is one thing that surprised or impressed you about the types of Service Learning projects presented? 4. What does Service Learning mean to you? 5. Are any Service Learning projects similar to a project you are currently working on or recently completed at your library? How do the two overlap? If they do not overlap, do you see a way that a current project can be turned into a Service Learning project. 6. In your current role as a library professional, library educator, library administrator, or library student, what types of Service Learning projects are you interested in? How can you integrate your personal interest with a Service learning project? 7. Two connections I noticed between Service Learning projects and ALA initiatives are …..